Like the mythological river from which they drew their name, Styx have been flowing across the classic rock landscape for nearly half a century, helping to define that era with a career marked by both incredible highs and dispiriting lows. To help navigate those waters, we've created a gallery where we've ranked Styx's albums from worst to best. As they made their way from abject anonymity on the South Side of Chicago to worldwide renown, the members of Styx found time to indulge in both magical musical collaborations and ruinous personal recriminations. But it was exactly that fiery dynamic that allowed core songwriters Dennis DeYoung, Tommy Shaw and James 'JY' Young to continually challenge and inspire each other's talents to greatness. 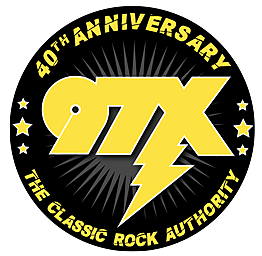 Through it all, Styx built upon their claim as charter members of America's first progressive rock generation (alongside Kansas, Journey and others) by gradually streamlining their sound until their once-intricate songs were primed for radio airplay, and thus ready to reach millions of fans well into the band's career. Styx's discography is a living testament to old-school artist development, the likes of which will probably never be witnessed again. Whereas today, musicians are expected to deliver hits right out of the gate, Styx and many of their '70s peers were at least given the opportunity to perfect their craft over time, trial and error, until everything could fall into place. This wasn't always the case, but Styx proved themselves among the ultimate survivors when they reached the zenith of their creative powers and finally started collecting long-term dividends for their hard work, just about halfway through the 15 studio albums we are revisiting here. So come sail away as we rank Styx's albums, from worst to best.